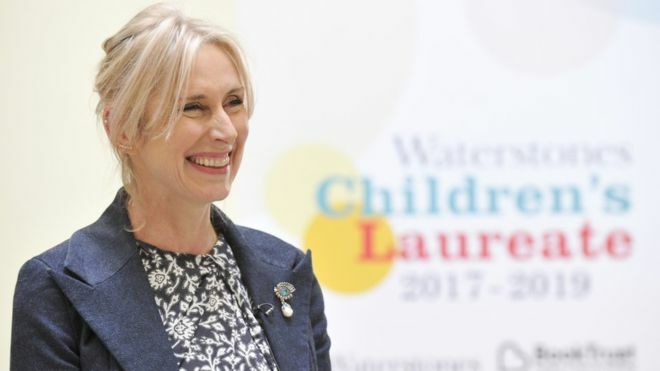 Scottish Friendly has welcomed the appointment of Lauren Child MBE as the new Waterstones Children’s Laureate. Child, whose appointment was announced on Wednesday 7th June 2017 in Hull, takes over from Chris Riddell, becoming the 10th children’s laureate. Over the next two years Child will champion children and reading nationwide. The Scottish Friendly Children’s Book Tour has taken all past children’s laureates on a tour and we hope we can look forward to Lauren joining one of our celebrated tours in the coming months. The tours which are run by the Scottish Book Trust and sponsored by Scottish Friendly celebrate 20 years next year and visit schools and libraries all across Scotland, the north of England and most recently, Northern Ireland. We’re particularly excited about Lauren’s appointment as she has firm views on children and the world of books. Lauren believes that children need the “freedom to discover” and feels that parents have too much pressure on them to constantly entertain their children. Child believes that boredom actually helps to develop creativity and is keen to encourage reading for pleasure while holding this post. Something which worries Lauren is the misconception her books are aimed at girls. Her books are intended for both boys and girls, but she understands the difficulties in getting boys to enjoy reading books where a female is the main character. Something which girls don’t appear to have an issue with, when the lead role in portrayed by a male! An award winning English writer and illustrator, Lauren is best known for her Charlie & Lola picture books as well as her Clarice Bean series. Having grown up in Marlborough, Wiltshire, Lauren was the middle child of three daughters. Her mother taught at a primary school in the town while her father was the head of the art department at Marlborough College where Lauren studied. Lauren seems set to ruffle a few feathers and make her mark as Children’s Laureate and we at Scottish Friendly look forward with interest to the impression she makes.